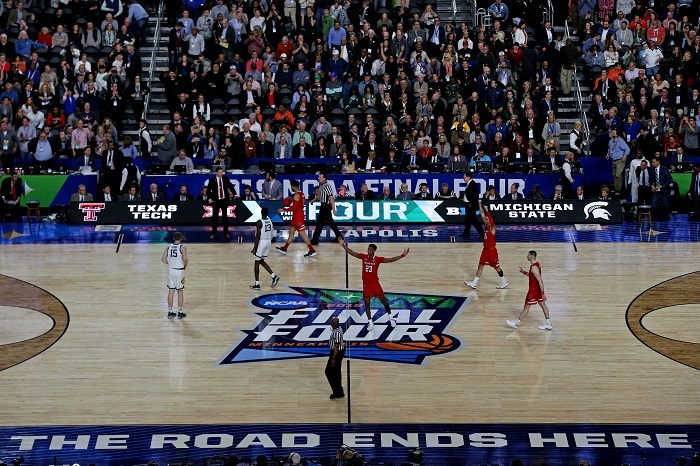 The NCAA Tournament’s National Title game is Monday night at U.S. Bank Stadium in Minneapolis. 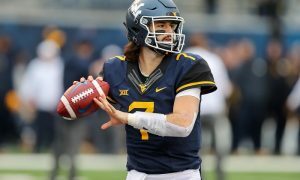 Texas Tech will face Virginia. Here is our preview. All-Time Series: Texas Tech and Virginia have never faced each other in basketball. This is Texas Tech’s first trip to the Final Four and this is Virginia’s first trip to the Final Four since 1984. 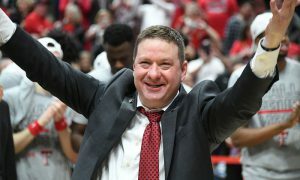 Head coaches: Chris Beard, Texas Tech (76-30 at Texas Tech, 172-60 as NCAA head coach); Tony Bennett, Virgnia (253-89 at Virginia, 322-122 as NCAA head coach). Winner gets: The 2019 NCAA National Championship. Neither program has won a national title in men’s basketball. 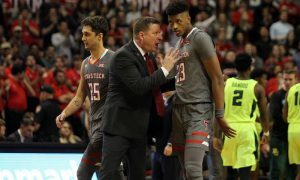 Texas Tech: F Norense Odiase, F Tariq Owens, G Matt Mooney, G Davide Moretti, G Jarrett Culver. Virginia: F Mamadi Diakite, G De’Andre Hunter, G Ty Jerome, G Kyle Guy, G Kihei Clark. Texas Tech: I’ll take two here for different reasons. Mooney had a huge game against Michigan State, matching his season high of 22 points and leading the Red Raiders through Culver’s dry spell for most of the game (Culver scored nine of his 10 points in the final three minutes). Mooney has picked up this kind of slack before and him hitting double figures will be key to Tech’s success on Monday night. So will the health of Owens, who left the game with MSU with what appeared to be a gruesome rolled right ankle. Fifteen minutes later he ran— yes, ran — back onto the floor to spend the final several minutes of the game on the bench. Will Owens play on Monday night? As of this writing on Sunday afternoon we didn’t have an update. But if he can play, and he can play to the level he did on Saturday — three blocks in particular — he becomes a real matchup problem for Virginia. Virginia: Guy. It isn’t just that coming into the tournament he was the Cavaliers’ leading scorer (15.2 ppg), but it’s the clutch shots he hit against Auburn in the final minutes that catches your eye. He drained an off-balance 3-pointer from the baseline in the final minute to cut Auburn’s lead to 1 and keep Virginia in the game. Then he drew the foul on the other baseline corner while shooting a 3, and then drained all three free throws to give Virginia the win. You can talk all you want about the missed double-dribble on Jerome (and they DID miss it). Guy hit every big shot you could ask for down the stretch. He’s also dangerous from the arc. He entered the tournament with 253 career 3-pointers. Virginia’s four-guard alignment makes him hard to account for on each possession, but the Red Raiders will have to keep track of him. Texas Tech: The Red Raiders enter this game having won 16 of their last 18 games dating back to Jan. 26. 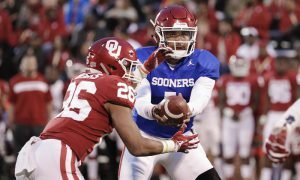 The Red Raiders are one of the best defensive teams in the country, and we documented those credentials before Saturday’s game with Michigan State. The Red Raiders went out and proved it once again against MSU. They held the Spartans to 32 percent shooting and a season-low 51 points of offense. The Red Raiders held Spartans guard Cassius Winston to 16 points, below his season average (18.0 ppg) and Winston had just two assists. The Spartans also committed 11 turnovers. 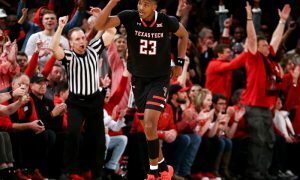 For fans around the country who have not seen Texas Tech this season, the experience was likely eye-opening. Virginia: The Cavaliers are no slouch when it comes to defense. Entering the Final Four the Cavaliers were first in the nation in scoring defense (55.4 ppg), held 11 opponents to under 50 points, held 26 opponents under 40 percent shooting and 27 opponents to under 33 percent from 3. In addition, in spite of the Cavs’ four-guard alignment, they’ve outrebounded 29 opponents this year. And this isn’t coincidence. Bennett’s Cavs have led the nation in scoring defense five times during his 10-year tenure. Like the Red Raiders, defense is Virginia’s identity. 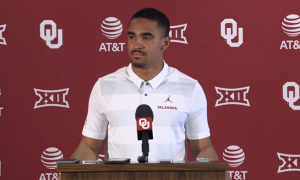 And, like Texas Tech, no one should be led to believe the Cavs’ can’t score, even though they squeeze every last second out of each offensive possession. Along with Guy, Jerome (13.3 ppg) and Hunter (14.9 ppg) are averaging double figures this season. Texas Tech: Odiase had 9 rebounds, despite only scoring 2 points and playing just 24 minutes. The Red Raiders’ bench — Deshawn Corprew, Brandone Francis and Kyler Edwards — combined for 15 points (Francis, 9, Edwards 6, Corprew 0). Mooney shot 50 percent from the floor (8-of-16) and from 3 (4-of-8) and at one point scored nine straight points for the Red Raiders. Texas Tech had just three offensive rebounds vs. MSU, all by Odiase. Virginia: The Cavaliers were outrebounded by Auburn (33-31; Texas Tech was outrebounded by Michigan State by 6). Jerome shot 50 percent from the floor and made four 3-pointers. The Cavs shot just 50 percent from the free throw line, but were 25-of-51 from the floor, including 7-of-18 from the 3-point line. Auburn only had five turnovers in the game. Virginia had eight. Virginia’s bench combined for two points (only two Cavaliers came off the bench). All five of Virginia’s starters played at least 34 minutes. Virginia had the most assists of any team in the national semifinals (15). Who wins? : If you thought Saturday’s games were defensive-minded, get ready for Monday night. Both of these teams play defense at a level that we don’t see often in the college game. Virginia is first in the nation in scoring defense and Texas Tech is third. So this really is a “first team to 50 points wins” kind of game. To me, the defenses cancel each other out. So it comes down to offense. 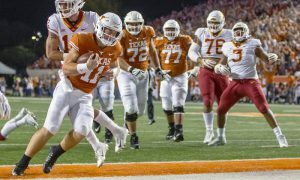 While Virginia has weapons, the Red Raiders showed on Saturday that they have four players capable of taking over a game in their own way, and only one of them is named Culver. Plus, the bench contributions of Francis and Edwards can’t be overlooked. The Red Raiders have a deeper unit, albeit by one player, and that unit had success on Saturday night. Assuming Owens plays, the Red Raiders have an edge in the paint. 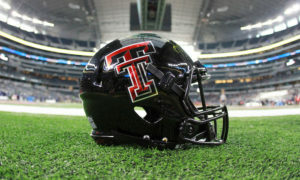 I’m taking the Red Raiders to win their first national title. Of course, if you listened to our Heartland College Sports radio show last week, you know that I was already leaning that way.